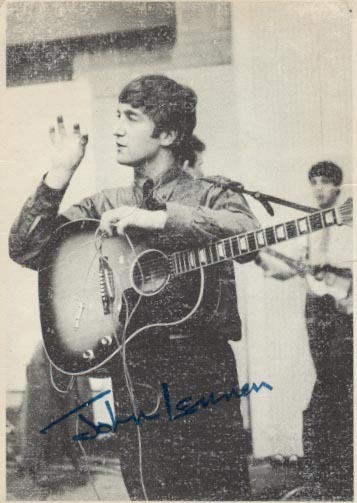 John Lennon’s 1962 Gibson J160e guitar, once thought lost, has been discovered in San Diego at Marc Intravaia’s Sanctuary Art and Music Studio in Sorrento Valley and is about to go up for one of the most publicized auctions in Beatles history. 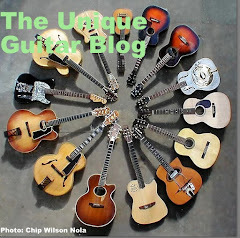 However, “Once the story broke on Reuters, there was quite a few awful comments about my friend [John McCaw, the guitar’s owner] from people not knowing the whole story,” Mr. Intravaia tells the San Diego Reader. “He bought it in 1969 from a friend and never knew what he had until he brought it to me last August.” John McCaw, who bought the guitar from a friend in 1969 for $175, never knew what he had. McCaw bought the mildly beat-up Gibson acoustic from a friend for $175, in a transaction at Blue Guitar shop, then located in Old Town. 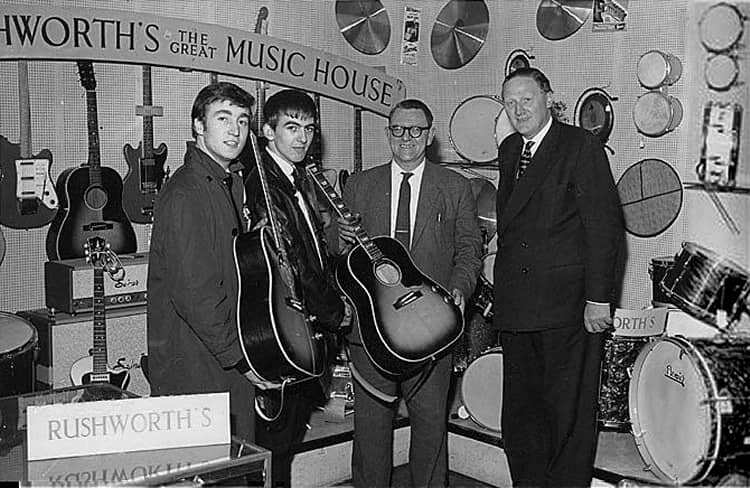 After spotting a magazine article in 2014 with a photo of George Harrison holding a similar guitar, McCaw noted Harrison’s guitar was only four serial numbers away from his Gibson, and concluded they were probably made on the same day in 1962. 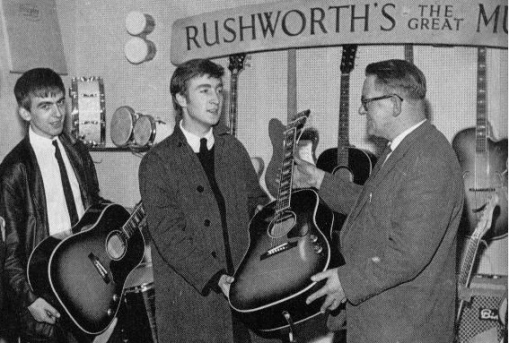 Further research revealed that John and George bought identical Gibsons on September 9, 1962 at a Liverpool music store called Rushworth’s. Marc Intravaia and McCaw found video of Lennon playing the guitar and noted several remarkable similarities to McCaw’s guitar, too numerous and detailed to list here but including specific scratches, wear marks, and – most telling – wood grain patterns. 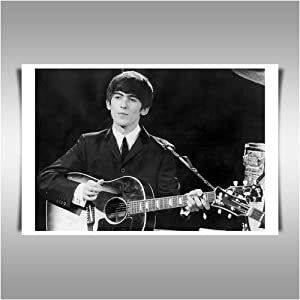 Local video archive licensors Reelin’ in the Years provided a high-def tape with freeze-frame close-ups of Lennon’s guitar, and pairing it with footage of McCaw’s (as seen in a new YouTube video) led to Intravaia contacting the official Beatles gear expert Andy Babiuk. Julien’s Auction House in Beverly Hills is auctioning the Gibson over the first weekend of November. The company’s owner, Darren Julien, calls it “one of biggest finds in music history,” stating in the press release that its sale may exceed the $965,000 earned in 2013 for an electric guitar owned by Bob Dylan.